Roma (film, 2018). A 2018 drama film with "R" rating by Espectáculos Fílmicos El Coyúl (Mexico)/Netflix (USA). Directed by Alfonso Cuarón. Official Trailer. Roma is a 2018 drama film directed by Alfonso Cuarón. 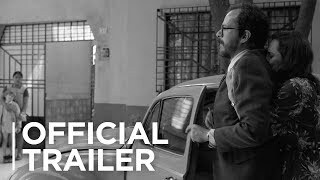 ROMA | Official Trailer | Netflix. Cleodegaria "Cleo" Gutiérrez is an indigenous live-in maid in an affluent household in the Colonia Roma neighborhood of Mexico City. The family's matriarch, Sofía, her husband, Antonio, her mother Teresa, their four young children, and another maid, Adela, also live in the house. Antonio, a doctor, leaves for a conference in Quebec. It becomes clear that Sofía and Antonio's marriage is strained. After returning briefly, Antonio leaves again, saying he is going to Quebec for a few weeks. Cleo and Adela go out to the cinema with their boyfriends, Fermín and Ramón. However, Cleo and Fermín decide to rent a room instead. Fermín shows off his martial-arts skill using the shower curtain rod as a pole. Some weeks later, at the cinema, Cleo tells Fermín that she thinks she is pregnant. As the film - La Grande Vadrouille - is about to end, Fermín says he needs to use the bathroom and will be back, but then does not return and is nowhere to be found. Cleo reveals the same concern to Sofía, who takes her to get checked at the hospital where Antonio works. A doctor there confirms her pregnancy. Sofía takes Cleo and her children to a family friend's hacienda for New Year's. Both the landowners and the workers mention recent tensions over land in the area. During the celebrations, a fire erupts in the forest. Everyone helps extinguish it while a man counts down the remaining seconds of 1970 before singing a Norwegian lullaby. Back in the city, Cleo accompanies the children and their grandmother to a cinema to watch Marooned. They see Antonio rush out with a young woman - a fact Sofía tries to conceal from the children, but which her second son later learns of by eavesdropping. She asks him to not tell his siblings. Through Adela's boyfriend, Cleo finds Fermín at an outdoor martial-arts class. During the class, of all those watching, only Cleo is able to balance with eyes closed in imitation of a blindfolded instructor who is performing a pose much like a vriksasana. Her boyfriend refuses to acknowledge that the baby is his, and threatens to beat her and their child if they try to find him again. With the baby almost due, Teresa takes Cleo shopping for a crib. On the way, they see students gathering to protest in the streets; these turn deadly because of police clubbings, while bands of roving youths - implied to be the paramilitary group Los Halcones (The Hawks) - randomly shoot at protesters. When a wounded man and a woman run into the store trying to hide, several youths find the man and shoot him dead. Another gunman, who points a gun at Cleo, turns out to be Fermín; he glares at her momentarily before running off, which causes Cleo's water to break. The film Roma was scheduled to be released by Espectáculos Fílmicos El Coyúl (Mexico) and Netflix (USA) on August 30, 2018 (Venice, Venice Film Festival), on November 21, 2018 (United States) and on December 14, 2018 (United States). The duration of the film is 135 minutes. With a budget of $15 million, the film grossed over $4.4 million. Roma got high rating from critics. The audience also likes the film.